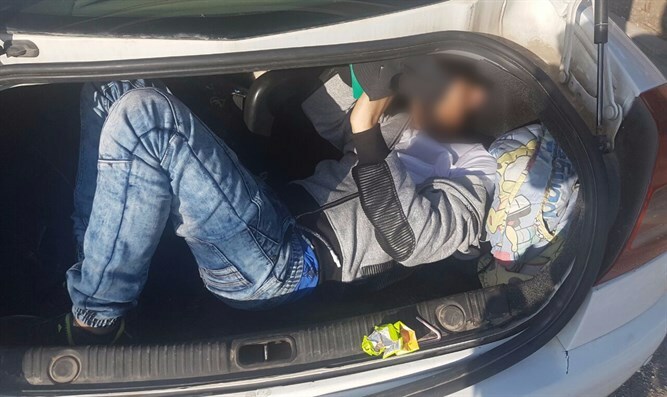 The Shin Bet caught 11 illegal infiltrators from Judea and Samaria, including one stuffed in the trunk of a car, . During operations against illegal infiltration the Shin Bet (ISA) apprehended eleven Arab infiltrators from Judea and Samaria between Highway 6 and Highway 431 near the city of Modi’in. The infiltrators were traveling in two private vehicles when they were apprehended. One of the vehicles carried six passengers, one of whom was found in the trunk of the vehicle. The two drivers were detained for questioning and the vehicles seized. Today the police are expected to request that the Rishon Letzion Magistrate Court extend the remands of one of the drivers, a 27 year old resident of the Negev, and three of the infiltrators, ages 28, 38, and 49. Cruz: No money for UN until anti-Israel decision reversed Senator Ted Cruz calls on the United States to withhold funding to the UN until it reverses resolution condemning "settlements".